"Please do not take photos," a school teacher gestures towards a cameraman. Around him, in the mountainous village, some 40 children in loose yellow uniforms stare at our vehicle. The dirt road we are parked on leads to one of the government-run schools in this village, Killi Inayatullah Machka. The Afghan border is nearby. Even from the distance, one can see the school has no roof or windows; it offers no shelter. "Come inside first and talk to us," the teacher, Muhammad Ismail, says with a handshake. "Then you can take photos." 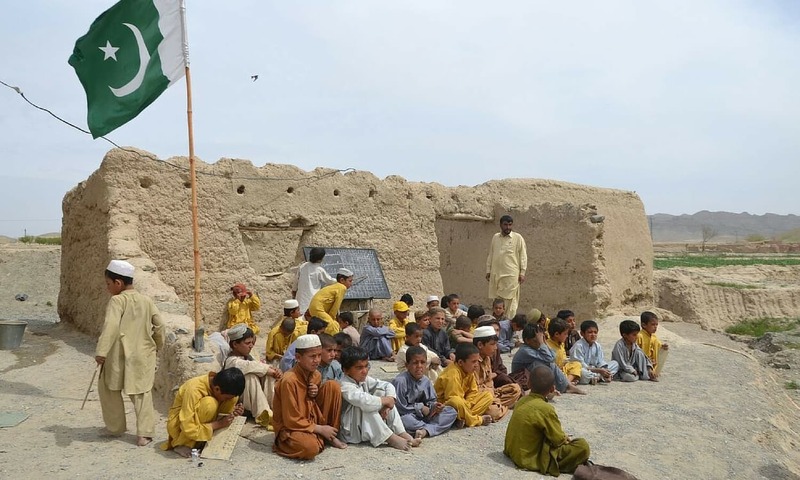 Located almost two kilometres east of the Quetta-Chaman national highway, Machka Killa Abdullah primary school was established in 2003 during Pervez Musharraf's regime for the children of the poor neighbourhood. The village's populace consists of daily wage labourers, roadside restaurant staff, and taxi drivers. Many students' fathers move to Karachi, where they can earn more and help their families. Legislators, ministers and officers pass through school everyday. But the building's miserable plight is hardly noticed by the VIPs travelling between Pakistan's bordering town Chaman, and the provincial capital Quetta. The one-room space was constructed by the villagers themselves to serve as the classroom. The enclosure of crude mud walls shows strains of time, its roof is broken and there are no doors. The ceiling, and much of the room, once collapsed in the aftermath of heavy rainfall. The students have been studying in the roofless, door and windowless room for more than three years. There is no boundary wall, no toilet, no clean drinking water. "The children bring drinking water from a nearby tube well," says their teacher, Ismail. Ismail, who comes from Punjab, has been teaching in this room for the past 13 years. He says he teaches grades one to five, a total of 70 students, but there are only 40 kids in the room. 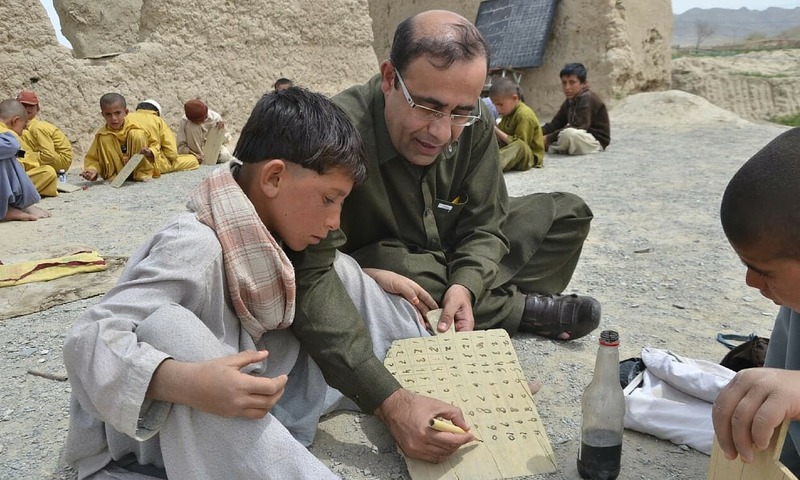 The number of government-run primary, middle and high schools in Balochistan has risen to 13,500, according to data available with the province's education department. However, the department says it cannot verify the existence of 955 schools, and more than 1,200 are yet to be made functional. Independent sources portray an extremely abysmal picture of government-run schools across the province. "We have cut off funds to schools we could not verify," confirms Saboor Kakar, Secretary Education Department Balochistan. The provincial government claims that it gives education the highest priority among all sectors. It has allocated more than 40 billion rupees to the sector, with the goal of providing quality education to all students. The department has also launched a school-enrollment campaign in Quetta and other districts in hopes of maximising enrollment. "Our objective is to enroll out-of-school children," explains Rahim Ziaratwal, the province's education minister. 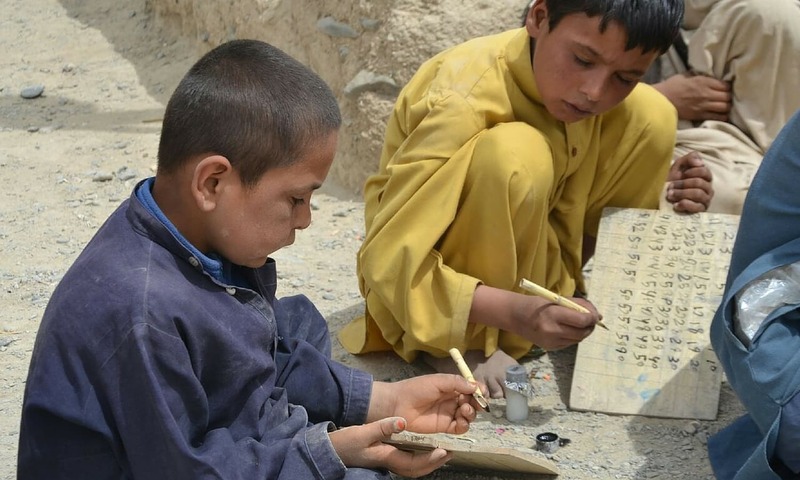 However, there exists a conflict between the government and the media, who do not agree on the figure of total out-of-school children in the province. Sardar Raza Muhammad Bareech, former education adviser to the province's chief minister, cites the figure at 1.6 million. Media sources estimate the figure is much higher. Machka Killa Abdullah is not the only primary school functioning despite infrastructural limitations; a number of them portray a bleak picture when visited. 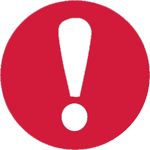 Students are at the mercy of weather changes and climate hazards. "We go back to our homes in case of rainfall, wind or chilly weather," says Musa Jan, who studies in class one. The weather, whether hot or cold, often interrupts the students' learning. But these schools are not solely limited by their shaky foundations; the quality of education and the presence of sufficient teachers is also a concern. At many of these schools, students can neither write nor speak in Urdu. When asked to name the founder of Pakistan, grade four student Naqeebullah says he does not know. Three students venture a try but they also fail to answer. At this point, a skinny fellow intervenes in an attempt to ease his friends' helplessness: "Allah made Pakistan," he says confidently. OMG. I am shocked. Which part of the world?? Look at the kids, they are learning very sincerely and seriously. Government should do something for their future. Not strange. This can be even seen in Punjab. Got to District Dera Ghazi Khan's Tribal Area, the situation is same. These justifies the current situation in Pakistan. Only education can save Pakistan. This is deliberate on behalf of Sardars Wadera. It is so common in south Punjab. I myself studies in a school where we used to sit under trees or in open sky without any facilities. Local politicians do not want children to get education . It goes against their agenda. Majority of these people are in ruling elite of either PMLN or PPP. This is called Royal Democracy.Lets enjoy the it. 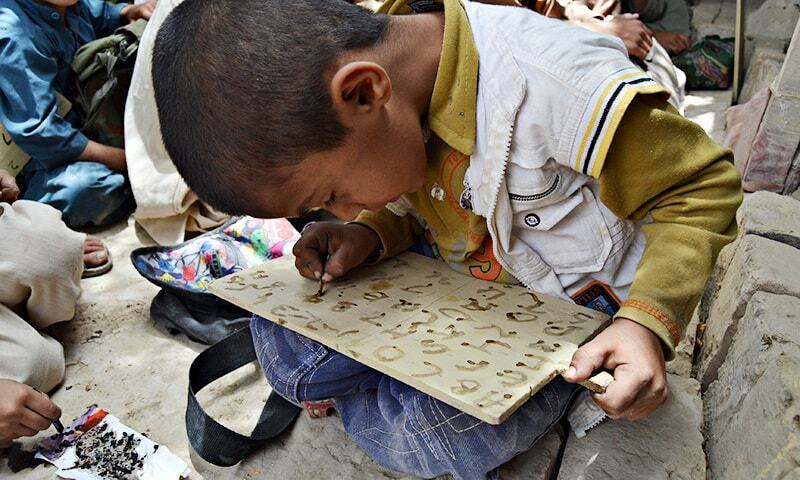 The President of Pakistan should pay a visit to this School. The Provincial Government would quickly build the walls, rooms, doors and windows, before the President comes. Thank you DAWN for this report. This government is just interested in fancy roads and bridges for them to travel with full protocol, not in human development. you can see the same situation an india and also panjab and sind tribal area. This breaks my heart. This state of the government run schools shows that Bhutto sahib's action of nationalizing educational system was a total failure. Most of the government run schools are in same pathetic state and some of then are even ghost schools. May God bless the kids and the teachers who are still keen to learn and teach in such schools. Better than no school.As long as there's sincere effort in educating these kids,I am ok with this.Not the best environment but focus has to be on educating these kids.Such scenarios can be found in many other countries. In 21st century, it is very sad. All teachers and students (except dress) are like those who lived thousand of years ago. 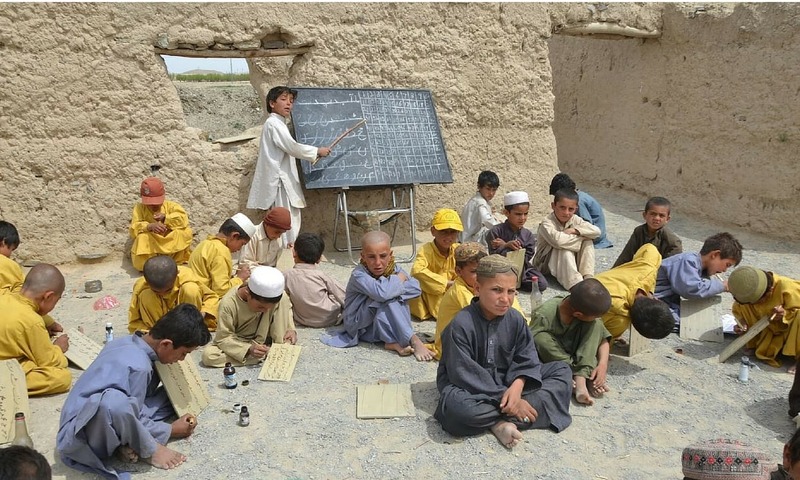 Government should come forward to improve the living standard and education of Baluchistan in line with modern world. I am more amazed by the comments than the narration of the plight of these schools. These schools are all over the country and mostly in the rural areas. Their depleted physical conditions can be ascribed to limited resources available to the state. The governments are trying their best to up-bring the rural development but it will take a while. Just a coincidence, I am the product of this type of schools and can relate to all these pictures. Have been there, seen it. I have been quite successful in my academic endeavours, as have been some of my other classmates. I can bet some of these kids will rise to very positions in different walks of life. So just relax and let the things take their course. How can I contribute to make sure these poor but eager to learn kids get what is needed ASAP? Is there an international agency which can get involved and honestly put Mr. General Musharaf's plan to work, please reply to my e-mail address. Thank you. Breaks my heart but this an accumulated result of Balochi Sadari for past 70 years. In Baluchistan these Sardars/Nawabs are larger than life figures and this is how they managed their State! Punjabistan Raj where only Punjab counts. Baluchistan and other on periphery is supposed to be invisible . This is poor performance of Govt, where Army of Ministers is more than 60. They spend money on a nuclear arsenal whilst kids have to put up with this? Time for voters to kick out such an incompetent government. @Naseer Such a pathetic building without water or toilets, chairs, desks etc does not qualify as a "sincere effort". 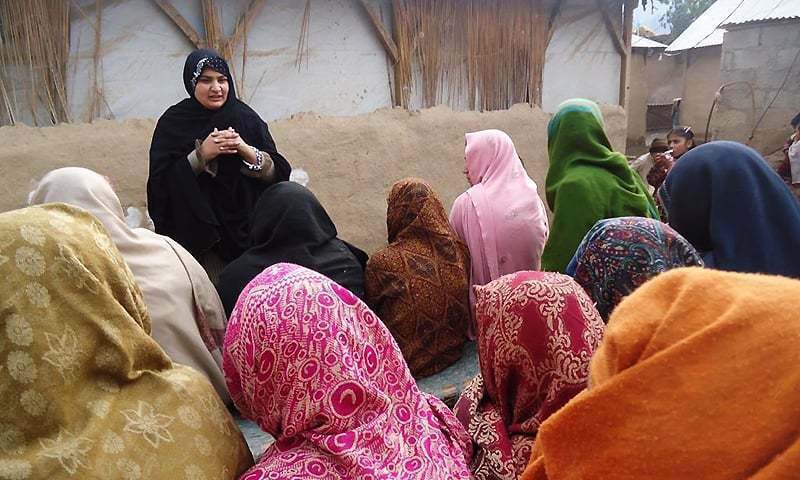 @Maqsood "Their depleted physical conditions can be ascribed to limited resources available to the state. " No! - every state has "limited resources". The problem here is one of prioritisation. A child miss-educated is a child lost. A slap of shame on Education Minister, who is "A bull in China shop". Preparing the guardians to conquer the future with such weapon, will simply produce bigotries and who will end in favour of whom, everyone knows well.